2. Anitua E. The use of plasma-rich growth factors (PRGF) in oral surgery. Pract Proced Aesthet Dent. 2001;13(6):487–493. 3. Foster T.E., Puskas B.L., Mandelbaum B.R., Gerhardt M.B., Rodeo S.A. Plateletrich plasma: from basic science to clinical applications. Am J Sports Med. 2009;37(11):2259–2272. 4. Foster T.E., Puskas B.L., Mandelbaum B.R., Gerhardt M.B., Rodeo S.A. Plateletrich plasma: from basic science to clinical applications. Am J Sports Med. 2009;37(11):2259–2272. 5. 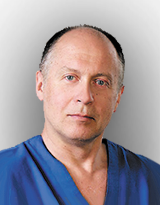 Intini G. The use of platelet-rich plasma in bone reconstruction therapy. Biomaterials. 2009;30(28):4956–4966. 7. Garg A.K., Gargenese D., Pease I. Using platelet-rich plasma to develop an autologous membrane for growth factor delivery in dental implant therapy. Dent Implantol Update. 2000;11(6):41–44. 8. Sanchez M., Anitua E., Azofra E., Aguirre J., Andia I. Intra-articular injection of an autologous preparation rich in growth factors for the treatment of knee OA: a retrospective cohort study. Clin Exp Rheutamol. 2008;26(5):910–913. 9. Оболенский В.Н., Ермолова Д.А. Применение тромбоцитарных факторов роста и коллагеновых биопрепаратов в лечении больных с хроническими трофическими язвами различной этиологии. Хирургия. Журнал им. Н.И. Пирогова. 2012;(5):42–47 [Obolensky V.N., Ermolova D.A. Use of Platelet Enriched Plasma and Collagen-Containing Biopreparations in the Treatment of Patients with Chronic Wounds of Different Etiologies. Surgery. Journal named N.I. Pirogov = Khirurgiya. Zhurnal imeni N.I. Pirogova. 2012;(5):42–47 (In Russ.)]. 10. Nurden A.T., Nurden P., Sanchez M., Andia I., Anitua E. Platelets and wound healing. Front Biosci. 2008;13:3532–3548. 11. Костюкович Н.Н. Первооткрыватель факторов роста и Нобелевский лауреат Стэнли Коэн. Вестник фонда фундаментальных исследований. 2011;4:112–144 [Kostyukovich N.N. Pioneer of growth factors and Nobel Prize winner Stanley Cohen. Bulletin of the Foundation for Fundamental Research = Vestnik fonda fundamental’nyh issledovanij. 2011;4:112–144 (In Russ.)]. 13. Martin J.F. A role for changes in platelet production in the cause of acute coronary syndromes. Arterioscler Thromb Vasc Biol. 1999;19:672–679. 14. Макаров М.С., Кобзева Е.Н., Высочин И.В., Боровкова Н.В., Хватов В.Б. Морфофункциональный анализ тромбоцитов человека с помощью витального окрашивания. Бюллетень экспериментальной биологии и медицины. 2013;156(9):391 [Makarov M.S., Kobzeva E.N., Vysochin I.V., Borovkova N.V., Khvatov V.B. Morphofunctional analysis of human platelets with the help of vital staining. Bulletin of Experimental Biology and Medicine = Byulleten’ ehksperimental’noj biologii i mediciny. 2013;156(9):391 (In Russ.)]. 15. Reed G.L. Platelet secretion. In: Michelson A.D. (ed.) Platelets. San Diego, CA: Academic, 2002. P. 181–195. 16. Caplan A.I., Correa D.J. PDGF in bone formation and regeneration: New insights into a novel mechanism involving MSCs. J Orthop Res. 2011;29(12):1795–1803. 17. Heldin C.H., Westermark B. Platelet-derived growth factor: mechanism of action and possible in vivo function. Cell Regul. 1990;1(8):555–566. 18. Мазуров А.В. Морфология и функции тромбоцитов. М., 2011 [Mazurov A.V. Morphology and functions of thrombocytes. Moscow, 2011 (In Russ.)]. 19. White J. EDTA-induced changes in platelet structure. Platelets. 2000;11(1):49–55. 20. Delgado J.J., Sánchez E., Baro M., Reyes R., Evora C., Delgado A. A platelet derived growth factor delivery system for bone regeneration. J Mater Sci Mater Med. 2012;29(8):1903–1912. 21. Li J., Wei Y., Liu K., Yuan C., Tang Y., Quan Q., Chen P., Wang W., Hu H., Yang L. Synergistic effects of FGF-2 and PDGF-BB on angiogenesis and muscle regeneration in rabbit hindlimb ischemia model. Microvasc Res. 2010;80(1):10–17. 22. Кузнецова О.М., Кушлинский Н.Е., Березов Т.Т. Фактор роста эндотелия сосудов: особенности секреции в костной ткани в норме и при патологии. Биомедицинская химия. 2003;49(4):360–373 [Kuznetsova O.M., Kushlinskiy N.E., Berezov T.T. Factor of vascular endothelial growth: features of secretion in bone tissue in normal and pathological conditions. Biomedical Chemistry = Biomedicinskaya himiya. 2003;49(4):360–373 (In Russ.)]. 24. Paques M., Chastang C., Mathis A., Sahel J., Massin P., Dosquet C., Korobelnik J.F., Le Gargasson J.F., Gaudric A. Effect of autologous platelet concentrate in surgery for idiopathic macular hole: results of a multicenter, double-masked, randomized trial. Platelets in Macular Hole Surgery Group. Ophthalmology. 1999 May;106(5):932–938. 25. Blumenkranz M.S., Ohana E., Shaikh S., Chang S., Coll G., Morse L.S., De Bustros S. Adjuvant methods in macular hole surgery: intraoperative plasma-thrombin mixture and postoperative fluid-gas exchange. Ophtalmic Surg Lasers. 2001;32(3):198–207. 27. Alio J.L., Arnalich-Montiel F., Rodriguez A.E. The role of “eye platelet rich plasma” (E-PRP) for wound healing in ophthalmology. Curr Pharm Biotechnol. 2012 Jun;13(7):1257–1265. 28. Лошкарева А.О., Майчук Д.Ю. Применение богатой тромбоцитами плазмы у пациентов с хроническими эрозиями роговицы. Современные технологии в офтальмологии. 2016;4:131–132 [Loshkareva A.O., Maychuk D.Yu. Use of Platelet-rich Plasma in Patients with Chronic Corneal Erosions. Modern Technologies in Ophthalmology = Sovremennye tekhnologii v oftal’mologii. 2016;4:131–132 (In Russ.)]. 29. Jun Hun Lee, Myung Jun Kim, Sang Won Ha, Hong Kyun Kim. Autologous Plateletrich Plasma Eye Drops in the Treatment of Recurrent Corneal Erosions. Korean J Ophthalmol. 2016 Apr;30(2):101–107.